YInMn-Blue is the most recent of the big new pigment discoveries. The mixed oxide pigment from the very expensive rare earth yttrium (Y), the extremely rare semi-metal indium (In) and manganese (Mn) has a rather complex chemical composition. Unexpected difficulties in the research of new mixed oxide pigments led to particular problems in the production. 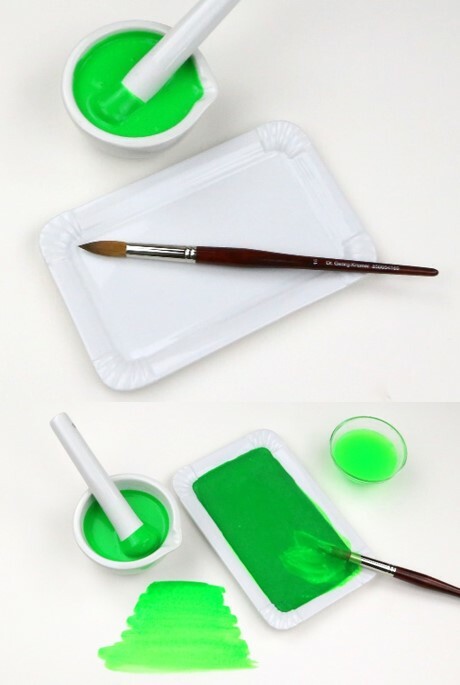 Up to this day, this new pigment is produced only in small quantities. In very well-defined cycles of reactions at very high temperatures, a bright blue pigment, which was so color pure in the color circle was previously inaccessible, dark blue between ultramarine blue and cobalt. Due to its reflection in the infrared range, colors mixed with YInMn-Blue reach completely new color ranges. The YInMn-Blue is extremely lightfast, temperature resistant and well opaque. YInMn-Blue requires little oil and is well suited for tempera and water colors. 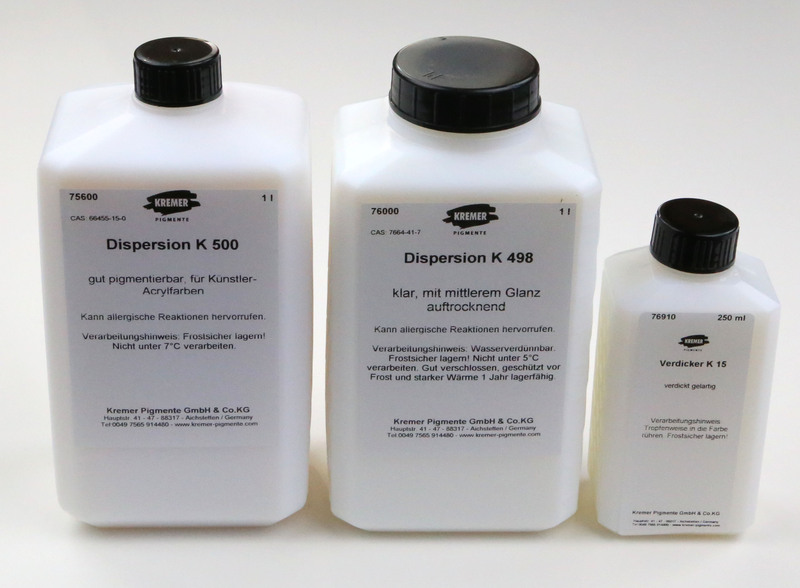 Acrylic tecnique works with the dispersions K 52, K 9 and AC 35, but less in dispersion K 498. Please tell us about your experience with the brand new pigment. in 10 g and 50 g.
The consumption information and recipes given above contain circa measures. Consumption may vary on different surfaces and depending on coat thickness and the oil paint used! For priming the wooden surface, mix 1 part Hard Drying Oil (#79021) and 1 part Pine Turpentine (#70010). Apply half-oil thickly and richly onto the raw wooden surface. Gently sand with sandpaper (granulation 150) when dry. Consumption rate is about 100 ml/m². For the first coat, dilute Hard Drying Oil with a maximum of 10 % Pine Turpentine, and add pigments to the glaze as desired. Gently sand with fine sandpaper (granulation 220) when dry. Consumption rate is about 50–70 ml/m². For the final coat, dilute the hard dry oil with a maximum of 5 % Pine Turpentine. Consumption rate is about 50–70 ml/m². For a thicker wear layer, you can repeat the final coat, but do not forget to gently sand the surface with fine sandpaper (granulation 220) in between coats. Products containing linseed oil and oil contaminated cloths dry by oxidation, which is an exothermic reaction that accelerates as the temperature of the oily substances/textiles increases. This is why we recommend that all oil contaminated cloths and rags etc. be kept in closed metal buckets. Dispose carefully. The recipe "Glaze on Wooden Floor with Hard Dry Oil" can also be found in our new Kremer Pigmente Recipe Book on pages 80-81. The chapter Oil Paints and Oil Varnishes contains 9 different recipes around the binder oil. 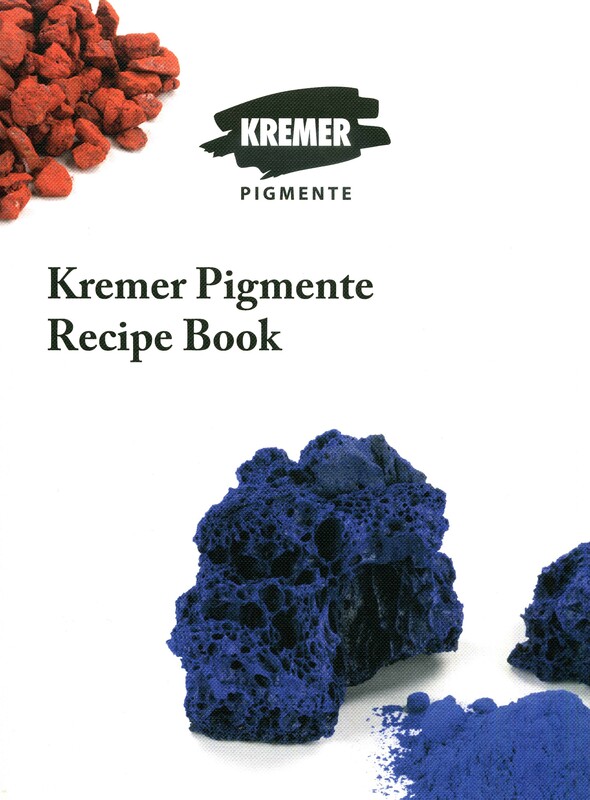 The Kremer Pigmente Recipe Book helps to find suitable pigments and materials. The total of 37 recipes are assigned to the categories water color, tempera, acrylic paint, wall paint, oil paint and oil varnish and other. 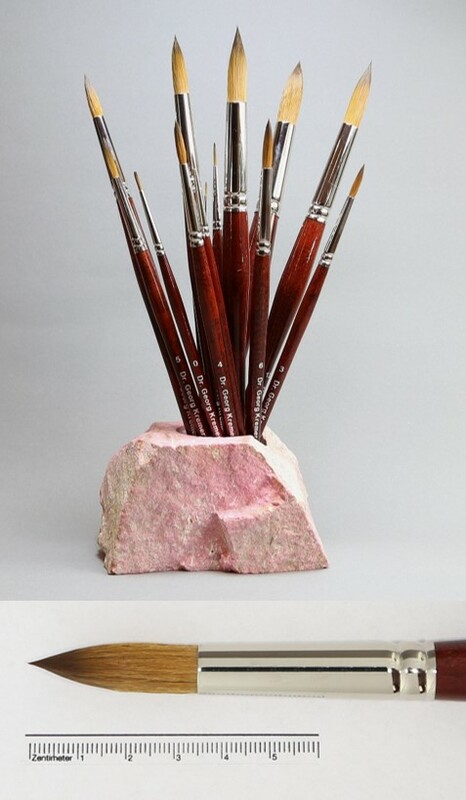 With a size of 21x14 cm, the porcelain bowl offers roomy opportunities to fill in your own watercolors. The useable volume is about 50 ml, the total volume about 150 ml. to the RRP of 6,90 € (VAT included plus shipping costs). Recipes for making watercolor paints can be found online under recipes or in our new Kremer Pigmente Recipe Book in Chapter 1 Watercolors. In order to faciliate your online resarch the products keep their old refernce numbers. We are happy to answer your questions if you should no longer find a known product under the usual name! International Trade Fair for Hobby, Arts and Crafts Supplies.